Lagamorph wrote: Kind of surprised at only 1GB of RAM. I do wonder how much storage will be left though, some.of the games are multi-disc after all, so honestly I don't think there'll be much free space at all of it just has 16GB. Honestly I think you'll be lucky to fit 2 more ISOs on it. True. 1GB isn't much at all when you consider the average PS1 game is around 300mb. 1gb is for ram that would mainly be taken up the the emulator process and Linux itself I imagine. I don't agree that 16gb is plenty of storage unless you were to delete whats already on there. Also you could sync a dual shock 4 to a Pi and actually have analogue sticks, I'm not sure I'd bother hacking this thing when there are easier solutions. I get hacking the SNES mini when it has the SNES pad and decent emulation but this thing has no analogue sticks and laggy emulation I'm assuming because of crap parts and not PCSX. Regardless of what we, well educated and informed gamers, will make of this, it'll still sell strawberry floating gooseberry fool loads with chavs and dad's who used to be gamers before having kids. #1 Christmas console I reckon. LewisD wrote: Regardless of what we, well educated and informed gamers, will make of this, it'll still sell strawberry floating gooseberry fool loads with chavs and dad's who used to be gamers before having kids. All comes down to marketing really, have shelf presence and a good TV marketing campaign and it'll sell well. I doubt most people will notice the technical differences (apart from GTA, which obviously judders and stutters constantly based on that video) because they never played the originals, played the originals a long time ago, or simply aren’t playing them one after the other to notice but that’s not really the point. Games from up to 23 years ago shouldn’t be running worse in any aspect in 2018, especially at £90. One of the main selling points of these classic machines to me is to enable old games to look better on a modern HDTV (otherwise you’d just plug in the original machine, surely). Basically the PS3 does everything the Classic should have (and more). The user interface is lost on me as well, as I never even saw it during that period. I don’t know when Sony used it because it’s not on my 1996 machine or the PSone from 2001, and none of my friends had it either (they bought it 95-97). 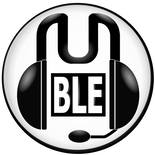 What changed was the Power/Reset buttons on the console (from written words to symbols). It’s a strange choice because the other UI was far more sophisticated. It was lightly smartened up for the PSone model too. I find it hard to believe the tech people at Sony had much to do with this Classic release because none of these issues exist via any other method. KK wrote: I doubt most people will notice the technical differences (apart from GTA, which obviously judders and stutters constantly based on that video) because they never played the originals, played the originals a long time ago, or simply aren’t playing them one after the other to notice but that’s not really the point. Games from up to 23 years ago shouldn’t be running worse in any aspect in 2018, especially at £90. One of the main selling points of these classic machines to me is to enable old games to look better on a modern HDTV (otherwise you’d just plug in the original machine, surely). Basically the PS3 does everything the Classic should have (and more). And yeah that memory card UI is pretty hideous ahah, though no doubt nostalgic for those whose PS1s fall into that era. I do like that the Classic still uses the original memory card save icons, always get a kick out of those. It’s a bit of an The Apprentice-esque mishmash of ideas. You have the box and controllers from 1995, the UI which presumably is 1998/99 here in the UK, and games that just jump all over the place. It lacks cohesion. 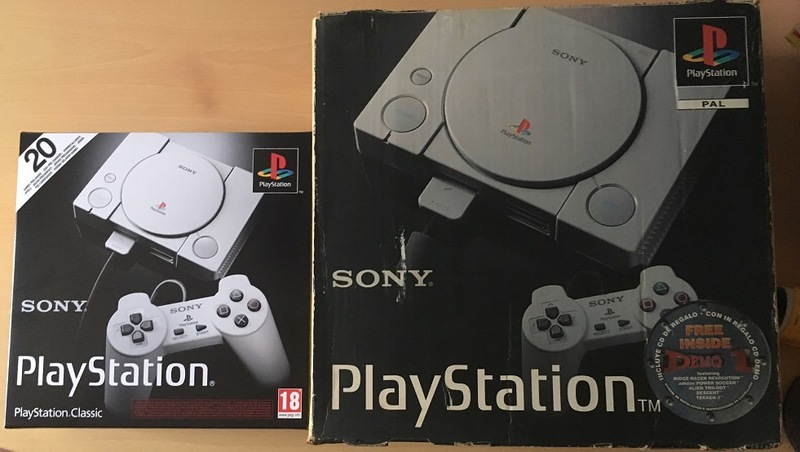 Internally if they’d decided to do more than 1 Classic machine (and maybe they still will), it would have made sense to focus this iteration on 1995 to early 1998, and then with a bit of artistic license come back with the PSone for 1998-2001 and a Dual Shock. It’s just disappointing how much effort one half of Sony has put into the hardware (and by all accounts the innards are extremely good too) and yet somehow the software side has failed them. I presume there’s no official way of updating the firmware in the device either. KK wrote: It’s a bit of an The Apprentice-esque mishmash of ideas. You have the box and controllers from 1995, the UI which presumably is 1998/99 here in the UK, and games that just jump all over the place. It lacks cohesion. Yeah that's very true on cohesion. There's a weird inconsistency in picking early iconic entries vs the 'best' ones, like Twisted Metal, Persona and Destruction Derby 1 instead of 2 but then Ridge Race 4 over 1, Cool Boarders over 1 and Tekkén 3 over 1 or 2.
Who cares about the quality? 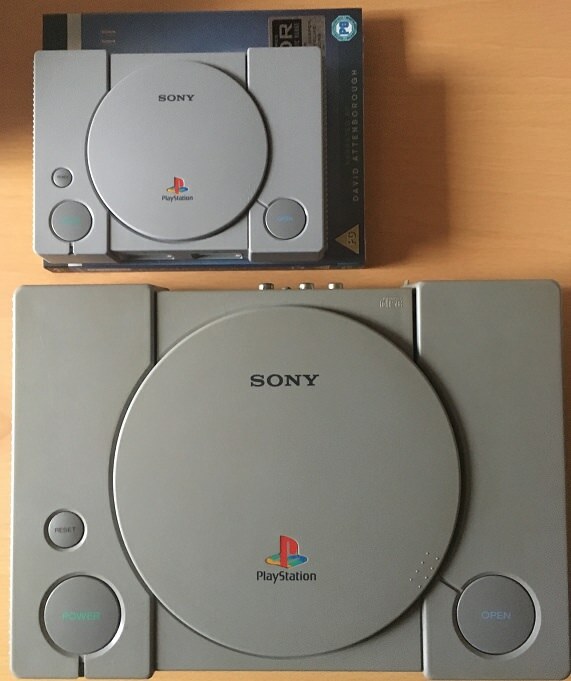 I've just seen the PlayStation Classic being held - it's so dinky and cute! Mine turned up nice and early this morning. Can't really fault the box design, it looks brilliant. I think anyone of a certain age seeing it on the shelf of their local shop is going to get rather excited looking at it. If it weren't for the price, it's the perfect size to just throw in your supermarket trolley on the spur of the moment. "Some game features and gameplay experience may be different from when played on previously released PlayStation consoles." Yeah, no gooseberry fool. Yeah, neither did the SNES. You need to plug it into the TV's USB port, the USB sockets just above the electrical plug, or something like an iPhone adaptor. Let us know what you think, KK. The controllers are identical, even down to the weight (103 grams) with the exception of the USB cable being a bit thinner and the Square button, which feels different and thankfully doesn't depress in the same way as on the original controller. I didn't recall it being knackered, but evidently it was. There's something under the button stopping it from feeling right. The console weighs barely anything at 163 grams. The Blue Planet Blu Ray under it, 162g. I love that KK has whipped out his scales. Well looks like I won’t be playing anything after all. Nothing in my house will power it. Not the USB ports on my TVs, not my laptop, not a phone charger, not the USB sockets in the wall, and neither iPhone chargers. So either the machine is dead as a Dodo or it’s using one of the most awkward voltage outputs imaginable. So now I’m going to have to go to an electric shop and see if they can help me out. Because Sainsbury’s and Curry’s don’t sell a 5v 1.0 Type A plug.